Q: First, explain briefly what the endocannabinoid system (ECS) is in the human body and why that’s important to understand. A: In the late 80s, scientists discovered that we have cannabinoid receptors (CB1 and CB2) in every organ system of the human body, and soon after in the early 90s, they found that we make our own cannabis-like compounds, endocannabinoids (ECs), and enzymes to produce and degrade them. 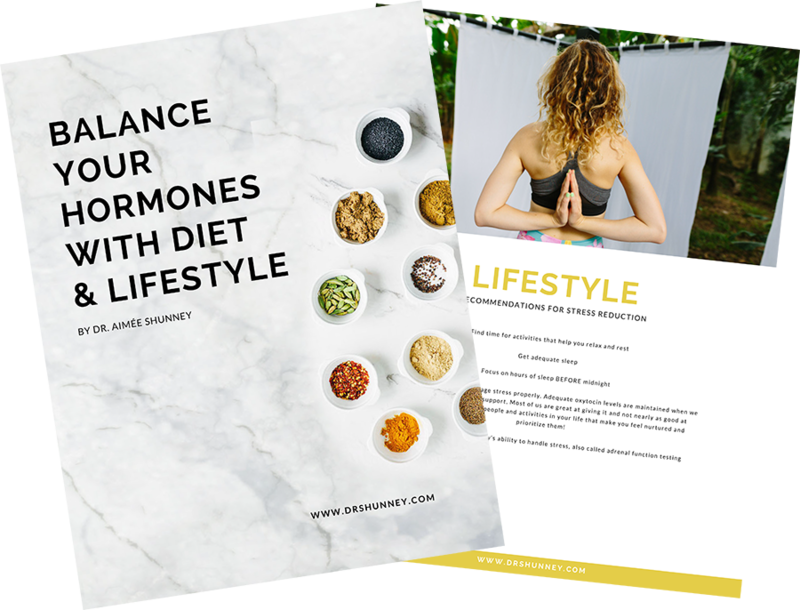 Put all those elements together, and you have the ECS – a ‘new’ system in the body, just as important as our nervous system or our digestive system. It helps us respond to stress by modulating endocrine function, regulating “fight or flight”, and supporting a healthy inflammation/immune response. It’s essential to understand the ECS if you want to understand how CBD works. CBD works by balancing and supporting the ECS through its subtle effects on CB1 and CB2 receptors, as well as other receptors that modulate serotonin, GABA, dopamine, and many that impact behavior and inflammation. That is why CBD has so many potential applications. Q: How can CBD help the gut? A: The ECS is an avid participant in normal gut function. The exact mechanisms of action are still being defined, but some areas of particular interest to me clinically are the ECS’ effects on gastrointestinal motility disorders, inflammatory bowel disease (IBD), and gut permeability. CBD is an immune modulator and a potent anti-inflammatory agent. In addition, it helps to balance the ECS, and therefore has tremendous potential to positively impact a variety of digestive complaints. It’s interesting to note that deficiencies in the ECS are associated with pathological states including irritable bowel syndrome (IBS), colorectal cancer, and celiac disease. Clinical endocannabinoid deficiency syndromes (CEDS) may be improved with CBD because it prevents the breakdown of our ECs, prolonging their action. In fact, this is one of the main mechanisms of action of CBD. Let’s not forget the role of stress and anxiety when it comes to digestion! Most of us know that stress exacerbates our gut, and managing stress is crucial to keeping symptoms at bay. CBD has been shown to promote stress resilience and decrease anxiety, adding to its powerful role in gut function. 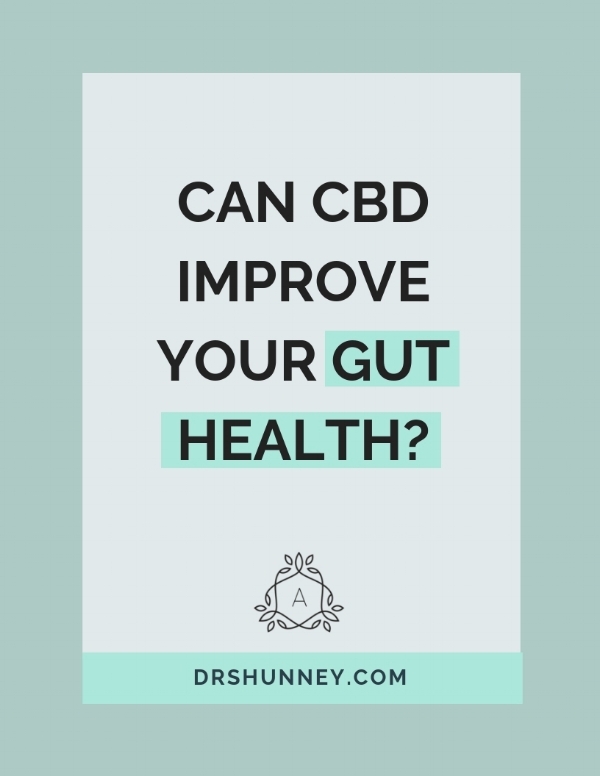 Q: Can you say more about gut motility issues and CBD? A: Gut motility is the term given to the stretching and contractions of the muscles in the GI tract. When nerves or muscles in any portion of the GI tract don’t function with their normal strength and coordination, a person develops symptoms like diarrhea, constipation (or both), cramping, bloating, etc. IBS is a motility issue, as is SIBO (small intestine bacterial overgrowth), and to a certain extent IBD (inflammatory bowel disease). The ECS plays an important role in modulating intestinal contractility. CBD may be able to support healthy motility through its ability to dampen overstimulation at the CB1 receptors and its indirect effects on the CB2 receptors, creating better endocannabinoid tone. In addition, CBD impacts the enteric nervous system (‘the brain below’) via serotonin receptors that are key mediators of motility, secretion, and pain sensation. Also, studies have shown that CBD can reduce chemical-induced hypermotility in mice. Q: More specifically, what does CBD do for gut inflammation, like IBD (Crohn’s and ulcerative colitis)? A: The ECS is involved in so many areas of gut health, from motility to visceral sensation to inflammation, it is no surprise that there has already been some early success in mouse models of IBD by treating with substances that inhibit endocannabinoid breakdown. The good news is that CBD does this, it’s safe, and readily available! Q: Can CBD help leaky gut? A: Cannabinoid receptors along the small intestine have been shown to modulate the expression of tight junctions that are in part responsible for maintaining gut integrity. Moreover, we now know that there is crosstalk between the ECS and the gut microbiota which impacts leaky gut. As a matter of fact, it appears that treatment with certain probiotic strains have been shown to increase the expression of CB2 receptors along the small intestine, which can support function! Additionally, CBD and other phytocannabinoids have been shown to support a healthy inflammatory response that is essential to heal leaky gut. Q: What amount of CBD is most often used for treating inflammation in the gut? A: We still need more human data in order to determine exact dosing. In my practice, I start with 15-25mg of CBD in a full spectrum hemp extract at bedtime. Assuming they tolerate that, I begin to see if we can add an equal dose in the morning without any sedation. Dose will vary based on individual tolerance and symptoms. For some patients, one dose at night works well. For others, twice a day dosing does the trick. Others may need 50mg 1-2x/day, especially with severe illness. Safety data is excellent with CBD, so there’s lots of room to find the ‘magic dose’. You can’t go wrong if you start low and go slow. Q: How does a person know how to choose a CBD product for their particular ailment? What should they look for in a brand and product? A: I recommend looking for products that list hemp oil (aerial plant parts) as an ingredient with the amount of naturally occurring CBD on its supplements facts panel. Also, it is important to choose products where the company can offer documentation of full traceability from seed to shelf. Hemp-Derived CBD is available in independent health food stores nationwide and online. I generally choose CBD from hemp because I like knowing that there is not enough THC or particular terpenes to cause intoxicating effects. Legally, hemp products must have less than 1% THC in the finished product. In addition, hemp is full of all kinds of beneficial constituents like, flavonoids, essential fats, plant sterols, vitamin E, chlorophyll and terpenes. Hemp products use every part of the plant that grows above ground, so they have a much broader array of phytonutrients than cannabis products that come from the flower only (where THC is richest). This is why I choose full spectrum hemp extracts with CBD over CBD isolates, in my practice. Q: What products from PlusCBD Oil™ do you recommend to people with gut issues? A: I tend to use either the PlusCBD Oil™ Total Plant Complex (green) Capsules or PlusCBD Oil™ Gold Softgels. Both would be a nice addition for overall digestive support. Start low, go slow and make sure you discuss the use of hemp extracts with your primary caregiver. 1. Chiurchiù, V., Battistini, L. & Maccarrone, M. Endocannabinoid signalling in innate and adaptive immunity. Immunology 144, 352–364, doi:10.1111/imm.2015.144.issue-3 (2015). 2. Wong, B. S. et al. Pharmacogenetic trial of a cannabinoid agonist shows reduced fasting colonic motility in patients with nonconstipated irritable bowel syndrome. Gastroenterol 141, 1638–1647 (2011). 3. Hermanson, D. J. & Marnett, L. J. Cannabinoids, endocannabinoids and cancer. Cancer Metastasis Rev 30, 599–612 (2011). 4. D’argenio, G. et al. Overactivity of the intestinal endocannabinoid system in celiac disease and in methotrexate-treated rats. J Mol Med 85, 523–530 (2007). 5. De Ponti F. Pharmacology of serotonin: what a clinician should know. Gut 2004;53:1520-1535. 6. 10. R. Capasso, et al. Cannabidiol, extracted from Cannabis sativa, selectively inhibits inflammatory hypermotility in mice. British Journal of Pharmacology. 2008 Jun 30; 154(5)1001. 7. Lee Y, Jo J, Chung HY, Pothoulakis C, Im E. Endocannabinoids in the gastrointestinal tract. Am J Physiol Gastrointest Liver Physiol. 2016 Oct 1;311(4):G655-G666. 8. Alhouayek M, Muccioli GG. The endocannabinoid system in inflammatory bowel diseases: from pathophysiology to therapeutic opportunity. Trends Mol Med. 2012 Oct;18(10):615-25. 9. Hasenoehrl C, Taschler U, Storr M, Schicho R. The gastrointestinal tract – a central organ of cannabinoid signaling in health and disease. Neurogastroenterol Motil. 2016 Dec;28(12):1765-1780. 10. Alhamoruni A, Lee AC, Wright KL, Larvin M, O'Sullivan SE. Pharmacological effects of cannabinoids on the Caco-2 cell culture model of intestinal permeability. J Pharmacol Exp Ther. 2010 Oct;335(1):92-102. 11. Alhamoruni A, et al. Cannabinoids mediate opposing effects on inflammation-induced intestinal permeability. Alhamoruni A, Wright KL, Larvin M, O'Sullivan SE.Br J Pharmacol. 2012 Apr; 165(8):2598-610.